"New York Institute of Technology has campuses in Manhattan, Islip and Old Westbury - just minutes from the Big Apple - and provides a career-oriented education in programs ranging from "art and architecture, to science, engineering and medicine." The student population here is highly diverse, as are the intramural activities, which range from dodge ball to Wiffle ball." What are the top 3 reasons someone should attend New York Institute of Technology? 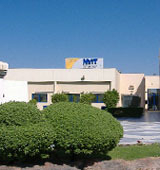 First, NYIT is a great private school at a lower tuition cost compared to other private colleges. Second, we have a widely diverse student body. Third, NYIT offers opportunities that can help jumpstart a lifelong career. What is a typical New York Institute of Technology student like? Describe the type of person that should attend New York Institute of Technology. NYIT does not have a "typical" student. People come from all over the world to attend this campus. Even students that live near the campus can get a college experience by attending NYIT and getting involved in campus activities. What are the top 3 things that students do for fun at New York Institute of Technology? 42% of students received Pell Grants, which are provided by the U.S. government to students from middle and lower income families. It gives you an idea of a school’s socio-economic diversity. Campus housing is available for undergraduates. Housing deposit : $300.00. Housing deposit is not refunded if student does not enroll.. Freshman allowed to have car. No pets. 24% of freshman live on-campus. 3% of male students live in fraternities. 4% of female students live in sororities. Any instructional program in design and applied arts not listed above. Any instructional program in enterprise management and entrepreneurship not listed above. An instructional program that prepares individuals to manage operations and facilities that provide food and/or lodging services to the traveling public. Includes instruction in hospitality industry principles; supplies purchasing, storage, and control; hotel and restaurant facilities design and planning; hospitality industry law; personnel management and labor relations; financial management; facilities management; marketing and sale promotion strategies; convention and event management; front desk operations; and applications to specific types of hotel, motel, and/or restaurant operations. Note: this program was re-instated after being deleted from CIP 2000; previously, it was coded as 52.0902. A program that prepares individuals to teach specific vocational technical education programs at various educational levels. Provide healthcare services typically performed by a physician, under the supervision of a physician. Conduct complete physicals, provide treatment, and counsel patients. May, in some cases, prescribe medication. Must graduate from an accredited educational program for physician assistants. A program that focuses on the application of engineering principles to the planning and operational management of industrial and manufacturing operations, and prepares individuals to plan and manage such operations. Includes instruction in accounting, engineering economy, financial management, industrial and human resources management, industrial psychology, management information systems, mathematical modeling and optimization, quality control, operations research, safety and health issues, and environmental program management. 67% of students graduated in the top half of their class. 12% of students graduated in the top tenth of their class. The average student pays $22,600 for tuition, fees, and other expenses, after grants and scholarships. Total stated tuition is $29,700, in-state and on-campus, before financial aid. Learn more about financial aid at http://www.nyit.edu/financial_aid/. Estimate the net price for you at http://www.nyit.edu/admissions/financing/cost_estimator/. 25% of students graduated on time. The typical (median) early career salary of New York Institute of Technology graduates is $49,200, according to Payscale. New York Institute of Technology participates in the NCAA Division II for college athletics. Want more info about New York Institute of Technology? Get free advice from education experts and Noodle community members.